How to View Your Walmart Paystubs on WalmartOne.com. How do I view my Walmart paystubs online? You can check your past Walmart payslips in-store by logging on to the Walmart Wire portal. Search for “online paystub”, and enter your birthday and your win number. 1. 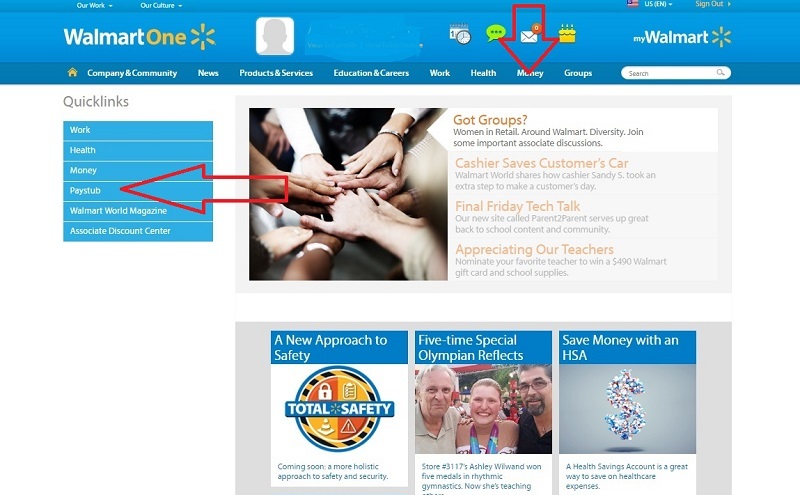 Go to www.walmartone.com and log in to your WalmartOne Associate account. On the homepage, click on the “Money” tab near the top of the page. Click on “Paystub”, followed by “View Paystub”. Or, use the Quicklink menu at the left hand side and click on “Paystub”. Click on “Money” to go to the paystub menu. 2. Download the WalmartOne app. Click on “Money”, then “Paystub”, and then “View Paystub”. 3. Go to www.moneynetwork.com/walmart. The page will re-direct to www.exceedcard.com. Click on the “Log In – Paystub Portal” button. A new page will open at www.paystubportal.com. Enter your Birthdate (MMDDYY), WIN number (9 digit Walmart ID#), Facility Number (4 digits) and PIN. If you do not have an account at Paystubportal.com, you will need to register one first. After logging in to the PaystubPortal, you can view your current and past Walmart paystubs. The most current paystub is available on the Monday before your payday. 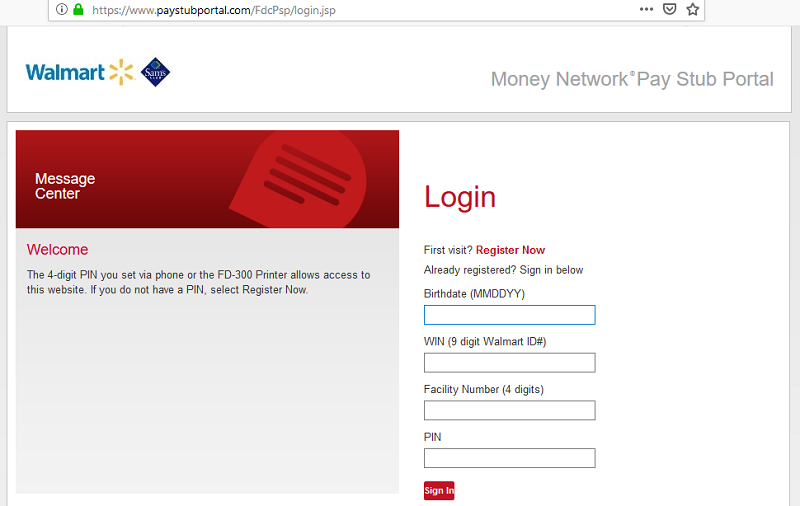 The 4-digit PIN you set via phone or the FD-300 Printer allows access to www.Paystubportal.com. If you do not have a PIN for the Paystub Portal, then select Register Now. Get your Walmart Paystubs by SMS or Email. “Email and Text Messages” and select either: 1. Send me an email with a pay stub summary or 2. Send me a text message with a pay stub summary. Or, you can call 1‐800‐903‐4698 and enroll via the automated phone system. You will then receive current paystub information automatically by SMS or email on the Monday before payday.